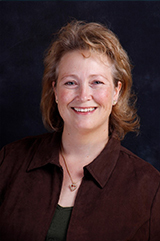 Dawn Swift primarily works during rehearsal hours on a variety of projects ranging from uniforms to fundraisers. Dawn became involved in Young Voices in 2007 when her sons Matthew and Bobby became TrebleMakers. As the boys advanced through TrebleMakers to Boychoir to Concert Choir to VoiceMale, so has Dawn, wearing many hats from helper to Rehearsal Assistant to taking care of the singers at camps, festivals and tours. Dawn’s professional background include accounting, software quality assurance and operations management, but the best experience she brings to Young Voices is that of seeing Young Voices through the eyes of a parent.